Jean-Pierre Mustier wants to make Société Générale a global powerhouse--and win the respect of investment banking rivals in London and New York -- by building on the bank's dominant position in equity derivatives. Jean-Pierre Mustier has racked up a pretty impressive performance. In just three years the head of corporate and investment banking at Société Générale has extended his bank's worldwide lead in the complex and rapidly changing market for equity derivatives and developed powerful franchises in structured finance, euro-denominated bond underwriting and project finance. And all this while attaining a level of profitability unmatched by any of its European rivals: a stunning 44.4 percent aftertax return on equity last year. But for all these successes, Mustier is more frustrated than satisfied. Most equity analysts value his operation at a multiple of eight times estimated earnings in determining price targets for Société Générale, reflecting concerns about the sustainability of profits. Wall Street rivals Merrill Lynch & Co., Morgan Stanley and Goldman Sachs Group were trading at multiples of 12, 11 and 10.5 times forecast 2007 earnings, respectively, late last month. Why the discrepancy? Ask Mustier and he has a ready answer: cultural prejudice. "Because capital markets evolved more rapidly in the U.S. and the U.K. than they did in continental Europe, investment banks are judged through an Anglo-Saxon filter," he contends. "We would probably be taken more seriously if we did not have French accents." Mustier, 45, is not about to mimic the plummy English accent of a City gent or bark orders in the blunt Wall Street style, but he is determined to win the respect of investors and rivals. He is investing heavily in equity derivatives in an effort to transform Société Générale's market-leading franchise into an impregnable fortress against such competitors as BNP Paribas, Deutsche Bank, Goldman Sachs, J.P. Morgan Securities and UBS. He also is looking to build on his substantial debt capital markets and structured-finance businesses. The aim is to make SocGen a global niche player focused tightly on its highly profitable areas of expertise, a kind of Gallic Barclays Capital rather than a full-service investment bank like Goldman or UBS. "Everything we are doing is designed to increase the strength and diversity of our three franchises in derivatives, euro-denominated capital markets and structured finance," Mustier says. Société Générale is likely to spend more than $200 million annually over the next three years to upgrade its information technology and bolster its ranks of financial engineers, traders and salesmen, insiders say. The investment bank plans to increase staff by 600 this year, or 6 percent, with 360 of those earmarked for the 2,000-strong derivatives operation. The other hires will work to bulk up the European fixed-income operation, particularly in the high-yield sector, and to establish a significant presence in the U.S. markets for structured-finance products and asset-backed securities. By focusing on SocGen's strengths and avoiding costly forays into areas like equity underwriting and mergers and acquisitions, Mustier believes he can win a premium rating from investors. "It may take a little longer for us to prove ourselves than some of our Anglo-Saxon competitors," he says, "but we will get there." Past performance is no guarantee of future returns, but Mustier has to be taken seriously given his track record. Many rivals were ready to write off Société Générale's investment banking ambitions after it lost out to crosstown rival BNP in its bid to acquire Paribas in 1999. SocGen then imposed draconian cutbacks -- slashing a quarter of its investment banking staff -- in response to its own straitened circumstances and the sharp fall in global equity markets at the start of this decade. The bank was even struck by personal tragedy when Xavier Debonneuil, Mustier's predecessor, was killed in an automobile accident along with his daughter in central France's Loire Valley on the day after Christmas 2002. Appointed to run the investment bank when he was just 41, Mustier maintained the tough cost discipline imposed by Debonneuil while growing Société Générale's derivatives business and using it as a springboard for expansion in related markets like fixed income and asset-backed securities. The results have been striking. Corporate and investment banking saw revenues grow 20.4 percent in 2005, to E5.7 billion ($6.7 billion), and net profit jump 26.7 percent, to E1.8 billion. The fourth quarter marked the 11th in a row in which the division posted a return on equity of more than 30 percent. SocGen may be smaller than most of its rivals, but it outshines them in profit margins. Deutsche Bank had nearly three times as much investment banking revenue last year, E15.9 billion, but its pretax profits were E4.3 billion, only 72 percent larger than SocGen's E2.5 billion. Barclays Capital's revenues were 9 percent greater, at E6.2 billion, but its pretax profits were 27 percent lower at E1.84 billion. The French bank's core equity derivatives business is anything but volatile, executives insist. Since 2003 the division has had only 13 days with losses exceeding E5 million; it has generated a pretax profit in every quarter for the past 13 years. "That is about as solid as you can get when it comes to recurrent profits," boasts Mustier. Now many analysts and investors are starting to take notice. "In light of the continuously strong performance of SG CIB in equity derivatives, we've recently come to the conclusion that this is a better business than we used to think," says Jacques-Henri Gaulard, a banking analyst at Merrill Lynch & Co. in London. Gaulard raised his valuation of SocGen's investment bank from eight times earnings to ten times in November, just shy of his 10.5-times-earnings valuation on Barclays Capital. Says Nicolaus Poehlmann, who manages E450 million for DWS Investments in Frankfurt, "Mustier has built the strongest operation in what is turning out to be a vast, largely uncorrelated field, where the principal products are likely to remain high-margin intellectual property rather than commodities, well into the future." Poehlmann says he has bought Société Générale shares steadily over the past year and that the bank represents one of his biggest holdings, although he won't specify how much he owns. Enthusiasm for the investment banking operations, which generated 29.7 percent of revenues and 41.7 percent of profits last year, has helped push the bank's shares up by 54 percent over the past year, to E123.40 in late March. SocGen's market capitalization has grown to E53.5 billion, the 11th-largest bank in Europe and the fifth largest in the euro zone. Takeover talk also has inflated the stock price. BNP Paribas's E9 billion purchase of Italy's Banca Nazionale del Lavoro in February fueled speculation about banking consolidation in Europe, including rumors that Citigroup or Bank of America Corp. might bid for SocGen. Most analysts and investors see the bank as more likely to be predator than prey, however. "They are too large and have too many promising long-term growth businesses to be easily digestible or easily affordable," says Helmut Hipper, a fund manager at Union Investment in Frankfurt. Overall, Société Générale's revenues rose 17 percent in 2005 from a year earlier, to E19.2 billion, while net profit increased 36 percent, to E4.4 billion. The group's aftertax ROE of 25 percent was considerably higher than the European average of 17 percent. The bank's retail arm, which has 3,686 branches and 16 million customers mainly in France and Eastern Europe, generated 56 percent of revenues and 43 percent of profits last year; global investment management and services contributed 13 percent of revenues and 11 percent of profits. Notwithstanding his achievements so far, Mustier faces big challenges in fulfilling his growth ambitions. Other big players, such as J.P. Morgan and Deutsche Bank, are ramping up their equity derivatives operations to close the gap on SocGen, and Mustier, unlike his rivals, has no presence to speak of in the underlying international cash equities market and has a relatively feeble global footprint. With its heavy dependence on equity derivatives, the bank is also vulnerable to shrinking margins if that market becomes commoditized or enters a slump. SocGen's corporate and investment bank ranks only ninth in terms of revenue in its core European market and falls well outside the top ten in the U.S. and Asia. Mustier is confident his bank can meet those challenges. An intense man whose fast-paced English is as impeccable as the tailoring of his double-breasted Cerruti suit, the banker alternately paces and sits at his desk with knees pulled up to his chest during an interview in his glass-walled office overlooking Société Générale's trading floor and London's Tower Bridge. He insists that his business will remain more profitable than its competitors' for the foreseeable future. "We are in a virtuous circle where we expect to have consistently growing net income in coming years, with good diversification and low volatility," he says. "New entrants in equity derivatives will be able to develop niche businesses, but the gap between us and others has widened over the past three years, and at this point it will be very difficult for any other investment bank to catch up to us." The current standing of société générale, overall and in investment banking, is a far cry from its plight in the aftermath of the failed bid for Paribas in 1999. Chairman and chief executive Daniel Bouton sought to engineer a friendly acquisition of SocGen's French rival to give his bank -- the third-largest French retail bank and a perennial also-ran in European investment banking -- critical mass. His ambitions were thwarted when BNP countered with a hostile bid for both Paribas and SocGen. Bouton managed to salvage his bank's independence by persuading business partners, including British insurer CGU (now part of Aviva) and Assurances Générales de France, to take a blocking minority in his shares, but he lost his intended prize when BNP scooped up Paribas. Trailing Crédit Agricole and BNP Paribas domestically and lacking a serious international presence, the bank's future appeared dim. "It looked like it would be only a matter of months before Société Générale would be taken over by its former suitor, or someone else," says Merrill Lynch's Gaulard. Bouton, a graduate of France's prestigious École nationale d'administration and a former high-flying civil servant who was brought to SocGen in 1991 by then­chairman and CEO Marc Viénot, has succeeded against the odds. His efforts have built the bank into a serious force, one with hopes of being a consolidator rather than a target in Europe's budding, cross-border banking industry. At home, Bouton has aggressively cross-sold products like capital-guaranteed, equity-linked funds in his French retail network. Such efforts helped boost the network's net profits by 12.4 percent last year, to E1.1 billion, and produced a return on equity of 20.8 percent, higher than those of his domestic competitors. The focus on investment products has strengthened the bank's franchise as France's leading money manager. Assets under management have more than doubled since 1999, to E327 billion at the end of 2005. The bank gained a significant U.S. presence with its E1.3 billion acquisition of the E89 billion-in-assets, Los Angeles­based TCW Group in 2001. Bouton also spread his wings on the Continent by investing in high-growth markets in Eastern Europe, beginning in 1999. Société Générale today boasts the fourth-largest banking network in the region, with E30 billion in assets and operations in Bulgaria, the Czech Republic, Romania, Russia, Serbia and Slovenia. The bank has also built a pan-European presence in consumer finance, leasing and other specialized financial services and has 5.8 million customers in 30 countries outside France. In contrast to those expansionary moves, Bouton imposed steep cutbacks in investment banking, where the loss of Paribas was believed to have sharply curtailed growth prospects. In October 1999 he appointed Debonneuil to replace the retiring Jean-Pierre Marchand as head of corporate and investment banking (CIB), with orders to trim the business back to a profitable core. Debonneuil, a veteran who had risen through the bank's foreign exchange and capital markets divisions, didn't hesitate to wield the knife. He closed SocGen's investment banking operations in Asia (headed until early that year by Mustier, who was brought back to Paris to take charge of fixed income), slashed its European brokerage activities and reduced the number of corporate loan clients from 10,000 to 3,000, focusing only on those who regularly used three or more CIB products. Yet far from heralding an exit from investment banking, Debonneuil's tough medicine positioned the business for a dramatic rebound. As Mustier puts it, "We were in too many businesses, so we decided to focus on what we were good at." One business that SocGen was very good at was derivatives, a field dominated by graduates of France's rigorous, mathematically oriented educational system. THE BANK'S DERIVATIVES OPERATION SPROUTED in the mid-1980s under the leadership of Antoine Paille, a visionary software engineer. Paille, who obtained a master's in economics and statistics from the École nationale de la statistique et de l'administration économique in 1979, began his career designing software for managing eurobonds and other banking assets and liabilities at Cegi-Tymshare. Hired by Société Générale in 1984 to create a computer system for managing currency exposure, he came across options for the first time. "Suddenly I discovered a product that could be applied to the management of all asset classes," says Paille, now chief executive of La Financière du Jour, a Paris-based firm that creates automated trading strategies for hedge funds and other institutions. "I realized that if we created one group in this area, centralizing resources in computers, math, statistics and financial relationships -- which none of our competitors were doing -- we could achieve big things." With the blessing of Société Générale's treasury chief, Jean-Bernard Guillebert, Paille flew to the U.S. in early 1985 to visit Goldman Sachs, Citibank and Bankers Trust, the leading derivatives houses of the day. "The U.S. banks were largely selling themselves on their ability to manage risk in one-off, tailor-made deals for institutional investors. They had little or no central organization and no vision of how to create broadly integrated teams that could systematically create and distribute products," says Paille. In two years Paille built a team of 50 engineering graduates that created and traded products, and he established SocGen as one of the top five global dealers in currency and bond options. Greater success was to follow in equity derivatives, where Mustier was just beginning his career. The son of a doctor from Clermont-Ferrand in central France, Mustier obtained master's degrees in engineering from two of the most prestigious engineering schools in Paris, the École Polytechnique (where his classmates included Frédéric Oudea, Société Générale's CFO, and France Télécom CFO Michel Combes) and the École des Mines. Having graduated in 1986 and spent three months as a sales trainee at IBM Corp., Mustier applied for a job with Paille after reading a newspaper article about the riches being made by young traders. He became the second employee of the bank's fledgling equity derivatives operation. Working out of a basement office near the Palais Garnier opera house in central Paris, Mustier and his colleague spent six months developing proprietary programs covering the variables that could affect the price of French equity options from horizons of a fraction of a second to several years. One of the innovations they came up with was an arbitrage model based on how bond spreads would move in reaction to equity volatility. The model soon permitted the bank to pursue highly lucrative capital structure arbitrage, which didn't become a commonly used trading strategy at other banks until the early years of this decade. "We explored the optionality of just about anything and everything in an absolutely exhaustive, systematic way, whereas the competition was focused more on the most immediate and obvious ways of handling risk and making a profit," says Mustier. Such diligence enabled Société Générale to become the biggest dealer on Monep, the French equity options exchange that opened in September 1987, with Mustier and his colleague, Laurent Bouyoux, as the bank's first traders. "The great revelation for me, and what has become the guiding principle for how CIB is organized, was that under Paille we created a system in which expertise could be easily shared across products and geographies," says Mustier. "That was something that rapidly made us one of the leading equity derivatives houses in the world, despite our relatively small size." Although Mustier was a fine trader, Paille quickly recognized his protégé's superior talent as an administrator. "He was quite simply extraordinarily energetic and extraordinarily well organized," says Paille. "Every day I would watch huge piles of dossiers migrate from the inbox on the left side of his desk to the outbox on the right side." In 1989, Paille pulled Mustier from the trading floor at Monep and dispatched him to start up the first foreign-bank-owned market-making operation on the Philadelphia Stock Exchange, the leading U.S. currency options exchange at the time. Mustier negotiated with Federal Reserve Board officials to win approval for the operation, hired 20 staff members and within two years developed the largest foreign-owned currency options business in the U.S.
On the strength of that accomplishment, Mustier in 1991 was sent to run derivatives operations in Japan, where Société Générale was a leader in foreign exchange options. Using his U.S. connections, Mustier strengthened the global integration of the business, allowing the bank to buy options in Tokyo in the morning and sell them in New York in the evening. Such seamless trading was something that more decentralized rivals like Banker's Trust and Credit Suisse First Boston -- with different management teams, sales forces and IT systems in New York and Tokyo -- had difficulty doing. Mustier also established Société Générale as a leading dealer in Japanese equity derivatives for the first time. The move to Japan had a big impact on his personal life. In Tokyo he met and married Su Yin, a Malaysian-born hedge fund consultant; they are now raising their two children in London. With a product that could be applied to virtually any asset class, Paille was stepping on a lot of toes back at Société Générale's fin de siècle headquarters on Paris's swank Boulevard Haussmann by the early '90s. Executives in the fixed-income department, headed at the time by Debonneuil, argued that Paille's 500-strong options team should be split up, with fixed income swallowing bond and currency options. Paille countered with a proposal to spin off the options business into a separate department. Bouton, then executive vice president in charge of risk management and investment banking, sided with Debonneuil, reasoning that derivatives risk would be harder to control in a stand-alone subsidiary. Paille left the bank in October 1993 to launch a derivatives operation for Commerzbank before going on to found Financière du Jour in 1999. After the options business was split off in January 1993, the currency and fixed-income derivatives operations gradually declined. The coup de grâce came with the introduction of the euro in 1999, which eliminated many once-profitable products in national currencies. Equity derivatives thrived, however, in a division that was kept largely independent of SocGen's cash equities activities. Installed as head of the operation, Mustier assembled a team that included head trader Marc Litzler, now deputy CEO of rival French investment bank Calyon, and marketing and sales chief Christophe Mianné, who runs SocGen's equity derivatives business today. The group continued with Paille's strategy of organizing by product line rather than geography, using global platforms for product development, risk management and distribution. Over the next three years, Mustier's 200-strong corps of bankers and traders became the global leader in equity warrants. The operation also developed one of the industry's most innovative structured products groups and pioneered the creation of the first puts and calls on investment funds and hedge funds in 1995, according to industry executives. Mustier's winning streak was about to end, however. In 1996, CEO Viénot named him to run SG Securities Asia, SocGen's Hong Kong­based corporate and investment banking subsidiary. The bank had big ambitions to penetrate Asia's then-booming markets but trailed well behind its competitors. In a bid to catch up, the bank acquired control of midsize Crosby Securities from its founder, Timothy Beardson. Mustier also went on a hiring spree, taking on dozens of bankers specializing in everything from bond origination to mergers and acquisitions advice, only to see Asian markets tank with the onset of the region's currency crisis in mid-1997. With local currencies in free fall and economies plunged into recession, SG Securities' aspirations drowned in a sea of red ink. Mustier spent the next two years tearing down what he had tried to build up, laying off roughly a third of his 600-strong Asian staff. "It was tough both professionally and emotionally," the banker recalls. "My experience in Hong Kong was not a successful venture for the bank, but it helped me profoundly when it came to understanding what to do and what not to do when it comes to developing operations. You've got to systematically develop product, but you've also got to make sure you are building on existing strengths." Brought back to Paris by Bouton in 1999 to take charge of Société Générale's global fixed-income business, Mustier imposed a hiring freeze and looked for low-risk ways of expanding. He lobbied for, and eventually won, backing to combine fixed income with the bank's corporate lending and structured-finance businesses, a novel move designed to get the most out of the bank's modest scale in the European market. "People were ready to try something new even if it meant giving up a certain degree of personal power," says one former fixed-income executive, who left the bank in 2004. The initiative was well timed. With interest rates coming down around the world and traditional relationships between corporations and their bankers fraying, companies were looking for new ways to leverage their balance sheets. 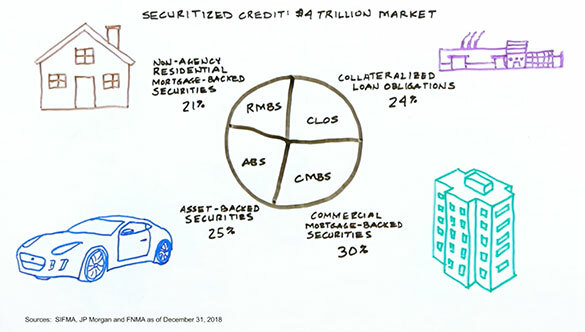 The primary market, once dominated by straight corporate bonds and loans, saw an explosion of asset-backed securities, convertible bonds and other instruments, along with derivatives to hedge everything from currency to interest rate moves. The development of a pan-European debt capital market, thanks to the euro, also prompted fixed-income investors to look for new sources of diversification in credit categories like collateralized debt obligations and high-yield securities. The integrated debt finance division that Mustier created has boosted operating profits by 75 percent since 2003, to E1.5 billion last year. Société Générale leapfrogged to become the world's fifth-largest book runner of euro-denominated bonds in 2005 from 13th in 2001; that advance reflected strengths in structured finance, where the bank ranked No. 1 in the euro-denominated market last year. "The key factor behind their success has been an integrated, client-based approach, where SocGen can propose efficient balance-sheet solutions rather than just hawking different products," says one rival banker. "It's something everyone is trying to do to one degree or another." Mustier's record of increasing revenues while cutting costs made him a natural candidate for the top job after Debonneuil's death. "Corporate and investment banking had become an aggregation of smaller, focused business lines, and Mustier was clearly a master at leveraging assets," Bouton tells Institutional Investor. "That is why I had no hesitation when it came to appointing him as Debonneuil's successor." Dividing his week between socgen's tower in the La Défense business district west of Paris and the bank's office in London -- where he works Wednesday to Friday -- Mustier over the past three years has maintained the bank's derivatives edge while expanding into new areas. He invested E300 million in information technology and increased the equity derivatives operation's front-office staff by nearly two thirds, to 800 worldwide. The effort has boosted net profits on equity derivatives by almost two thirds since 2003, to about E1billion in 2005, according to analysts' estimates. That's roughly E200 million more than for its closest competitor, BNP Paribas. "A lot of banks had lost money in the poor equity markets of 2001 and 2002, and Jean-Pierre was inclined to go along with the prevailing mood and institute a hiring freeze," says Mianné, a close friend of Mustier's who has headed equity derivatives since 1999. By contrast, SocGen's equity derivatives revenues dipped by only 3 percent in 2002, proving the business's robustness in the eyes of Mianné. "I've known Jean-Pierre for 18 years, so when I told him that cutbacks at other banks were giving us a perfect opportunity to catch up in areas where we were behind, he listened to me," he says. Over the past three years, Société Générale has risen from third place to first in the sale of European exchange-traded warrants, boosting its market share to 24 percent from 22 percent, according to Bloomberg data. The bank has also maintained the top global ranking in trading equity warrants, although its market share dipped to 14.4 percent last year from 15.3 percent in 2003, according to analysts. The equity derivatives operation generates two thirds of revenues from clients, which analysts regard as a more stable source than proprietary trading. It has also achieved a better balance between retail and institutional customers: Today it gets 60 percent of revenues from retail clients and 40 percent from institutional clients, compared with an 80-20 split three years ago. The shift makes the bank less dependent on the retail market and offers greater opportunities to cross-sell structured products to institutional clients. "Nothing we've done in terms of investment and expansion since 2003 has been a big bet," says Mustier. "It was all a manageable, natural, rational evolution based on existing strengths and trends in the market." Merrill Lynch estimates that SocGen has 59 separate profit centers in equity derivatives, offering products linked to everything from European hedge funds to U.S. equity volatility to Asian equity indexes. Every one of those centers is profitable, and none accounts for more than 10 percent of overall revenues, according to Merrill. "Equity derivatives at Société Générale is probably the best in the world qualitatively and quantitatively," says Merrill's Gaulard. "The diversity and resilience of its revenues should not be underestimated." Mianné echoes that point. "We expect to have solid results in both up and down markets," he says. "In down periods people will buy more guaranteed products, while in up markets they will look for leverage through warrants and options." After three years of hiring, SocGen now has about 320 more employees involved in designing, selling and trading new equity derivatives products than its closest competitor, BNP Paribas. The bank plans to boost its derivatives staff by 15 percent this year and to invest another E100 million in IT. Most of its competitors are expected to invest a fifth of that, analysts say. "When you have more people than anyone else, as we do, you have more revenue and more clients than anyone else," says Mustier. "I don't think any bank, even the largest bulge-bracket firm, would be prepared to invest the hundreds of millions over several years that it would now take to catch up with us." Increasingly, Mustier and Mianné say, new derivatives products will combine several asset classes, making the business even more robust and less correlated with the underlying equity markets. One new product the bank began offering last summer is the "clickoblig," which allows money managers to gain exposure to an equity index with an option to turn the derivative into a bond after a fixed period of time or after a particular market gain has been achieved. In the second half of 2005, Société Générale sold clickobligs with a face value of E1 billion. "In three years roughly 30 percent of our structured-product business may be in multiasset products linked to fixed income, real estate, commodities or something else," says Mianné, compared with about 15 percent currently. The key aims now for Mustier are to expand on the bank's derivatives prowess, to make broader inroads into the capital markets and to build significant businesses in the U.S. and Asia. He has plenty of room to grow. In Europe, Société Générale ranked just tenth in debt capital markets, 14th in equity capital markets and 21st in M&A in 2005, according to London-based Dealogic. The bank has spent $300 million since 2003 to expand its debt-finance business outside France, increasing head count by 264 people, or 13 percent. The moves have helped make Société Générale the leading underwriter of euro-denominated bond issues in Spain and boosted it to sixth place in Italy and eighth in Germany, according to data from Thomson Financial; the bank previously had no notable presence in those markets. For Europe as a whole, SocGen rose to third place in euro-denominated bond underwriting last year from a position outside the top ten in 2002, according to figures compiled by Dealogic. "We developed loan distribution among financial clients, gained leveraged-finance mandates and then redistributed relatively risky deals to an extent that rivals with bigger balance sheets did not," explains Olivier Khayat, global head of the debt capital markets group. "That allowed us to gain market share by doing riskier underwriting but did not change our overall capital-at-risk." Khayat now is targeting the high-yield market, where SocGen doesn't even register in the top 20 in Europe. Last July he lured Tanguy de Carne from BNP Paribas, where he headed its London-based high-yield effort, with a mandate to build a top-ten business for Société Générale. Khayat also has raided rivals in an effort to take the bank's mortgage-backed-securities business into the top five in Europe. Recent hires include Wolfgang Engel from BNP Paribas, who heads up marketing for banks, insurers and funds in Germany and Austria; and Eric Meyer from J.P. Morgan's Paris office, who will be the senior banker covering financial institutions in France. Mustier has further to go in the U.S., the world's biggest market for investment banking, where Société Générale ranked 34th, 21st and 37th, respectively, in debt capital markets, equity capital markets and M&A last year, according to Dealogic. The bank's New York­based U.S. operation employs 2,155 people and generated 29 percent of CIB's revenues in 2004, the most recent period for which a breakdown is available. Equity derivatives generate most of those revenues. Mustier and his team believe there is plenty of room to grow, because U.S. fund managers and retail investors buy fewer hedged products than Europeans do. "Many private U.S. investors believe they are very good at stock picking either directly or through funds," says CEO Bouton. "There are tens of millions of them, however, who are increasingly finding it attractive to pay banks like ours substantial margins to have a part of their savings hedged against certain types of risk." In an effort to bolster relationships with asset managers and banks, Mustier acquired a hedge fund­linked structured-investments business from Bank of America for an undisclosed sum last April. The 20-person team, run by Justin Griffith, now deputy head of global equity derivatives sales, structures options that can increase leverage for institutional investors in funds of funds or provide them with capital guarantees or synthetic puts and calls on funds of funds. It advises on derivative investments worth $5.8 billion. In 2003, SocGen acquired Constellation Financial Management Co., a private partnership founded by Mark Garbin and Thomas Mann in 1994 that creates asset-backed securities out of fund management commissions. Those purchases have helped the bank become the leading provider of derivatives to U.S. fund managers and insurers, up from a distant fourth in 2004, according to rivals. Mustier is also hoping to capitalize on Société Générale's growing strength among U.S. institutional investors to boost sales of interest rate derivatives, asset-backed securities and leveraged-finance credits. He plans to hire dozens of bankers in both leveraged finance and asset-backed securities in the U.S. this year. SocGen ranked a lowly 38th in leveraged finance in the U.S. in 2005, compared with 13th in Europe, according to Dealogic. It stood outside the top 20 as a book runner in U.S. asset-backed securities last year, compared with a No. 1 European ranking in euro-denominated asset-backed securities, according to Thomson Financial. But SocGen believes it can leverage its European franchise to gain U.S. market share. In October, for example, the bank led an $850 million offering of bonds backed by revolving loans to car dealers for Volkswagen of America and sold almost half the issue to European investors. "We have no illusions about our clear lack of ability to challenge bulge-bracket banks in the U.S.," says Jean-Jacques Ogier, chief executive of Société Générale in the U.S. "One of our challenges as a bank is to get more credible in the huge U.S. market, but we are going to do it by selling our European profile in a realistic and pragmatic way." As Mustier puts it, "What we are after is sustainable, incremental growth." If he keeps delivering, he won't have to worry about his accent.